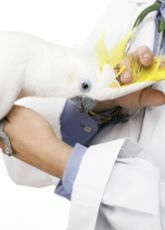 I always believed that cuttlefish bone, oyster shell and crushed eggshells were great calcium supplements for my birds. I was confident that my birds had plenty of this important mineral. 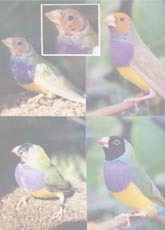 In breeding my birds the most common symptoms that I saw were egg binding, soft shelled eggs, thin shells and dead-in-shell. When I started my web site, clients always asked to purchase females five times more often than males or pairs. They would tell me that their female started to lay her eggs and for no reason just died. That was when I started to look for answers. What I found in doing my research was that ironically, for a nutrient that is so necessary for the biochemistry of the body, calcium is one of the more difficult elements for the body to digest and absorb. Once calcium has dissolved, its absorption into the body is totally dependent on the presence of vitamin-D in the intestine. Unfortunately, vitamin-D is rare in most foods. Its intestinal concentration depends on being fortified by ultra violet band of sunlight on a fatty substance in the skin to synthesize vitamin-D. Insufficient intestinal vitamin-D results in preventing sufficient calcium absorption into the body in the ionized state that is crucial to so many biological functions. These factors make the digestion and absorption of calcium one of the most difficult tasks in nature. Calcium is the main catalyst for all the other minerals in the body. If the bird has enough calcium and all the other essentials minerals are available, then the body will actually absorb more of these other minerals. Thus you will have a healthier hen, producing larger clutches with better hatchabliity, producing more live chicks! African Greys are known to have a need for more calcium, but actually all birds need more calcium added to their diets than ever before. The combination of factors of nutrient-depleted soils from centuries of use and synthetic fertilizers forcing crops to grow rapidly with no regard to nutrient absorption, results in foods having very little mineral nutritional value. Therefore calcium is not in the plants, hence not in your bird�s food. Then I was introduced to Calcium Plus- liquid calcium supplement for birds. I no longer experience egg binding, soft shelled eggs, thin shells or dead-in-shell. Calcium Plus is a liquid form of ionized calcium to insure good absorption. I am thrilled with this product. After using the Calcium Plus liquid I now realize that there are two reasons why calcium should not be mixed into a vitamin/mineral supplement. SALE! Calcium Plus - no longer experience egg binding, soft shelled eggs, thin shells or dead-in-shells. Potent liquid calcium source. First, solid calcium supplements are generally far less effective than super-saturated liquids. Studies have shown that less than 10% of solid forms of calcium enter the bloodstream where it can be utilized by the birds. I was not supplying as much calcium as I thought! Second, good quality calcium supplements should not be given daily while the vitamins, trace minerals and amino acids should. If you give Calcium Plus every day it will interfere with the bird�s ability to control its blood calcium levels properly. 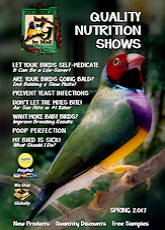 If blood calcium levels drop then nerves and muscles will stop working properly and birds will have problems balancing. 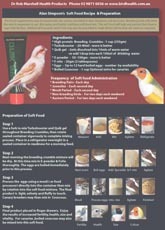 Calcium Plus given just once a week for non breeding birds and three times per week for breeding birds will ensure your bird gets the calcium it needs. 2. It actually exercises the body�s ability to manage blood/bone calcium levels properly and efficiently. Calcium Plus will pay for itself many times over just in increased chick numbers!